Auditions for The Masters of Musical Whistling (MMW2019) are going to start on Feb 15th. 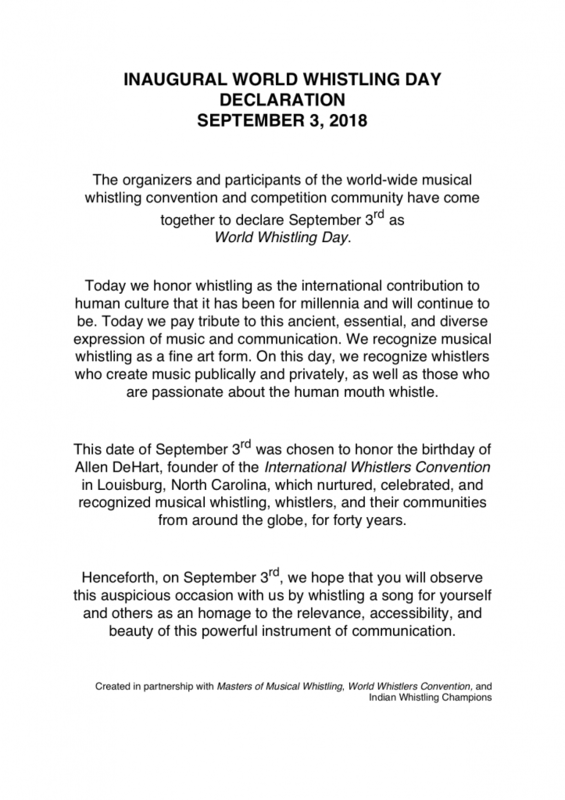 We changed the event title to “The World Whistlers Convention”. Establishing WWC, we have changed this site title and contents. Please follow our future announcements for more details.